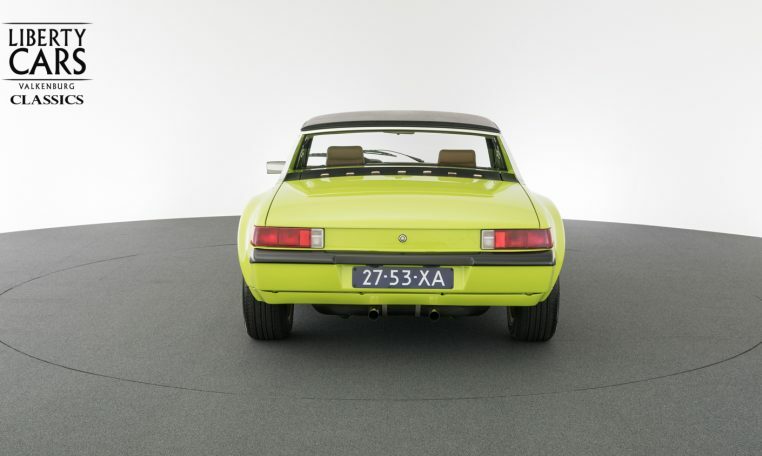 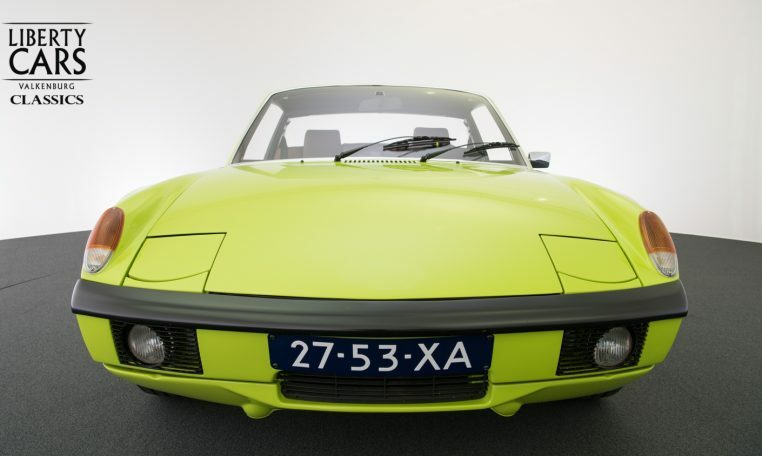 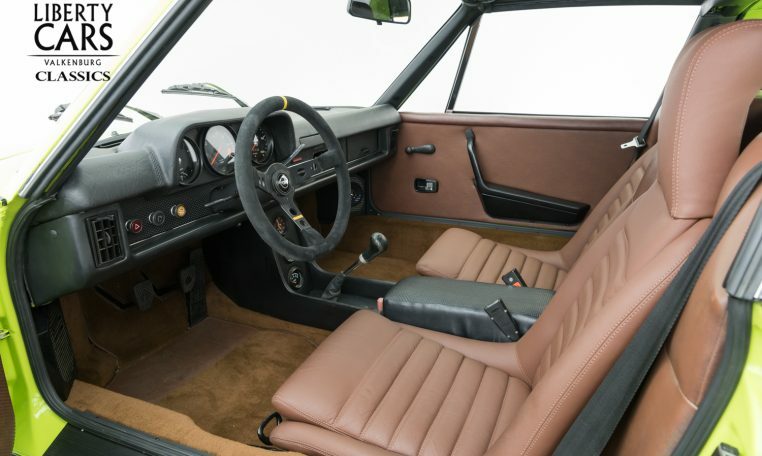 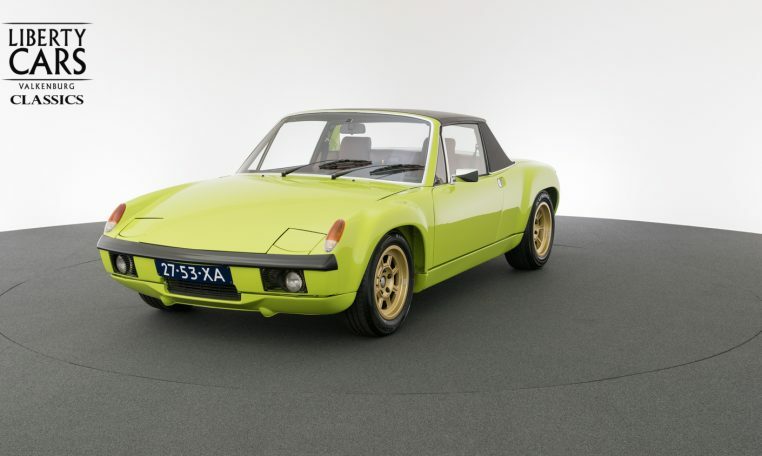 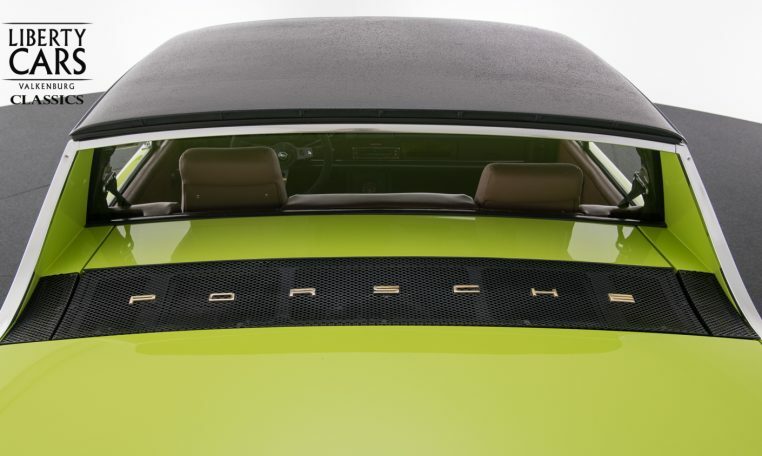 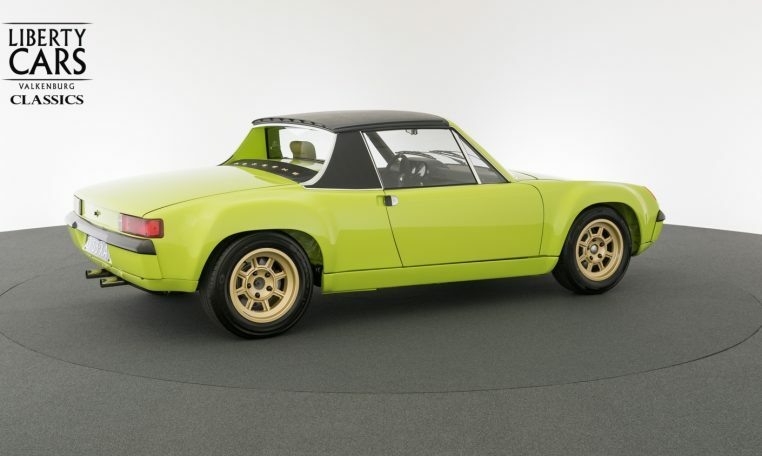 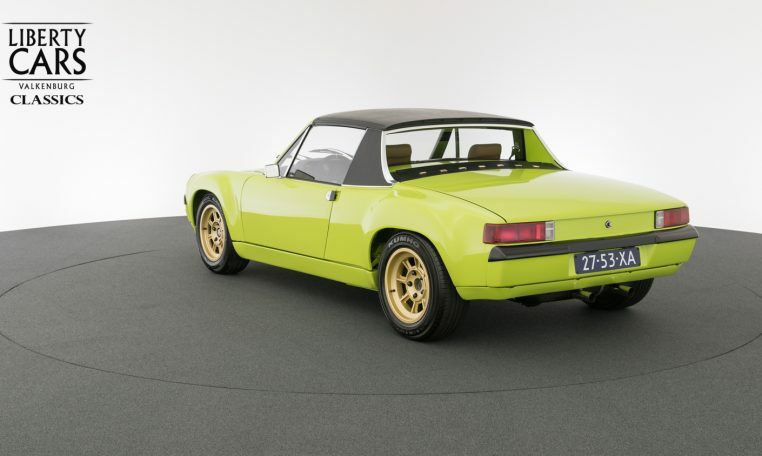 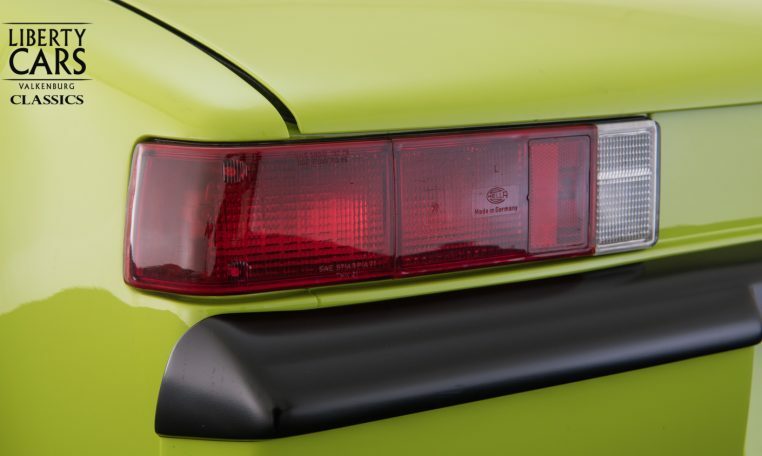 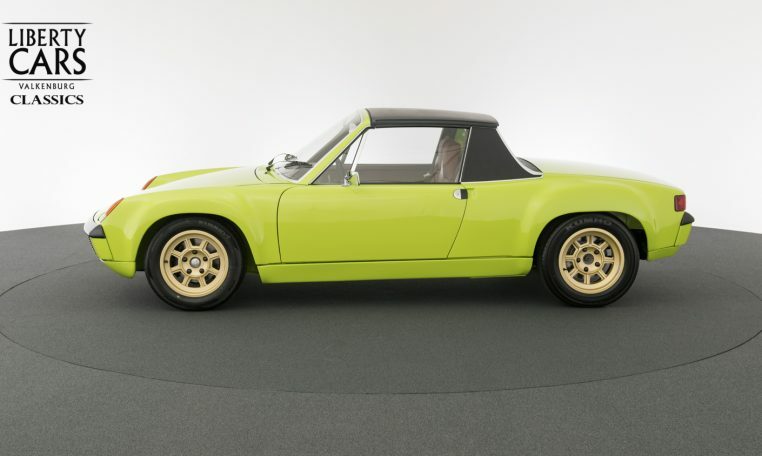 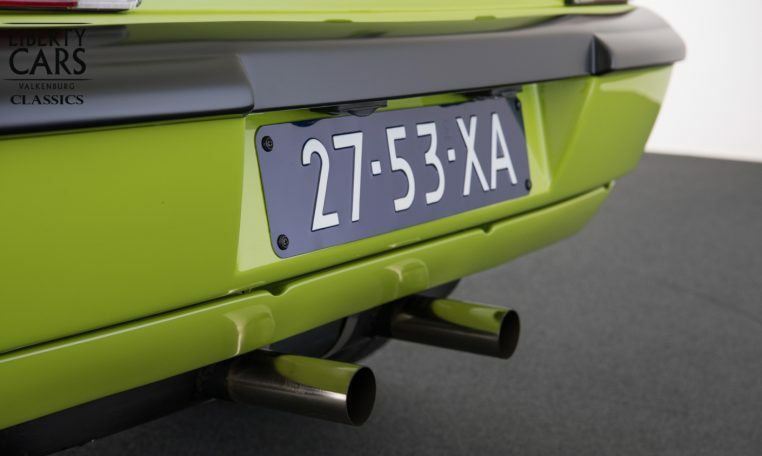 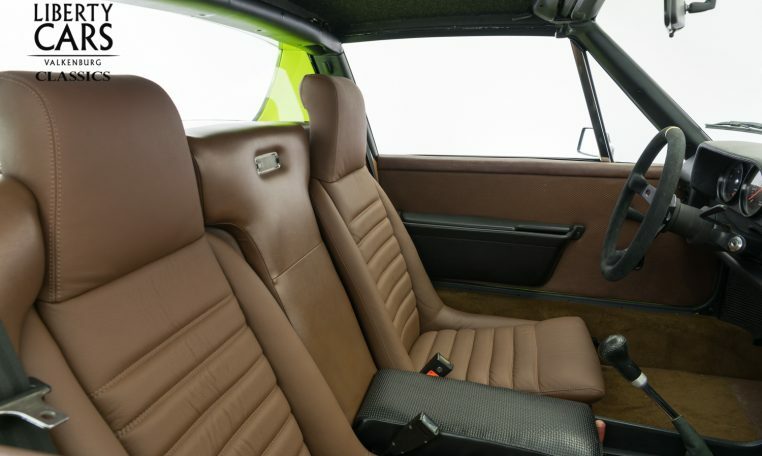 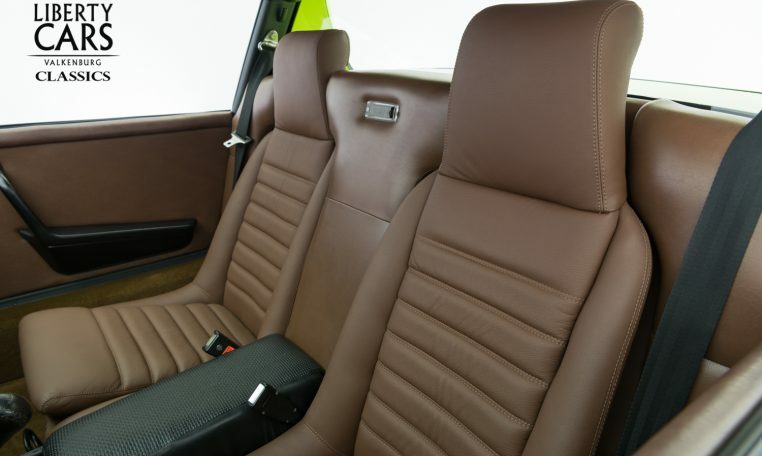 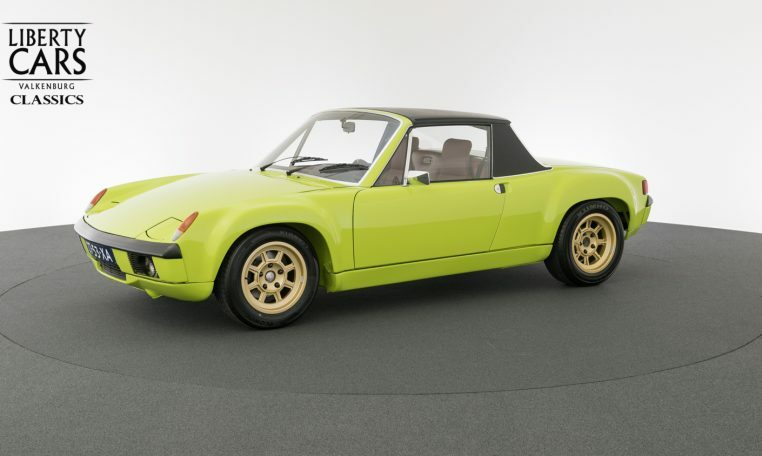 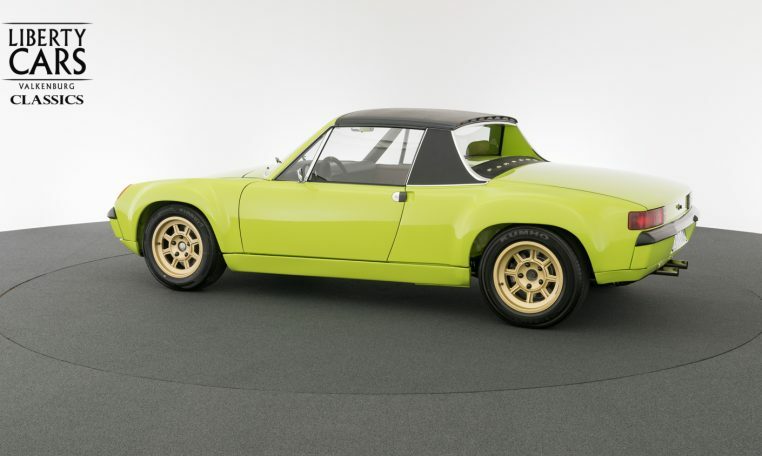 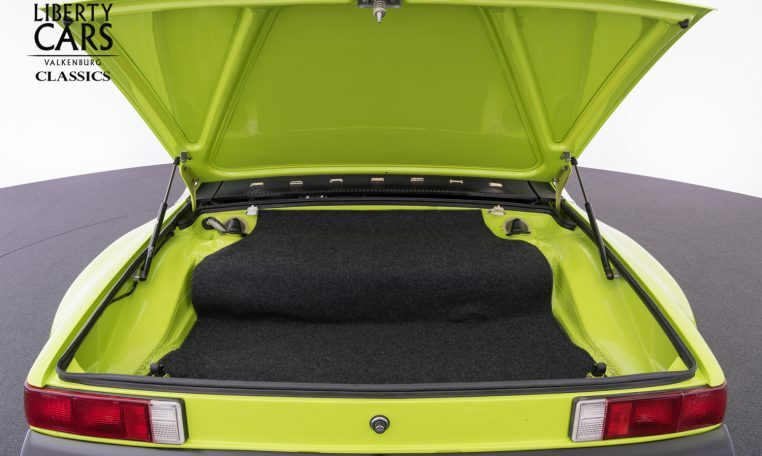 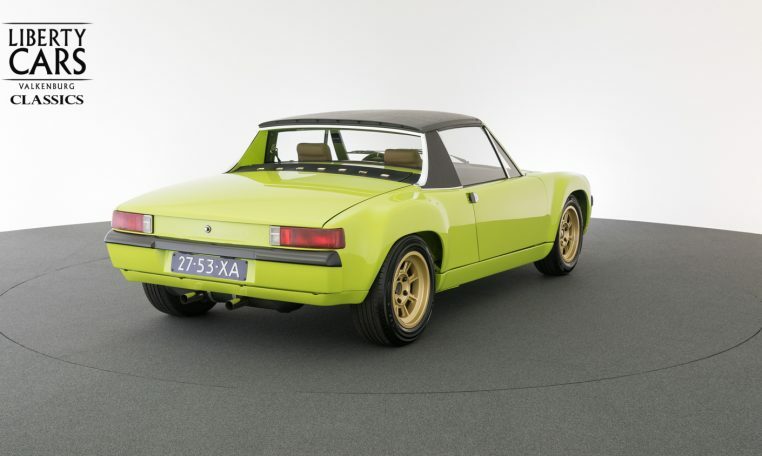 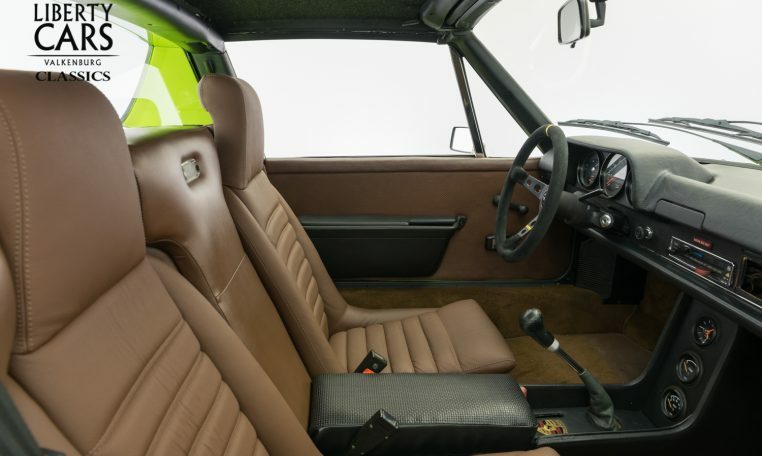 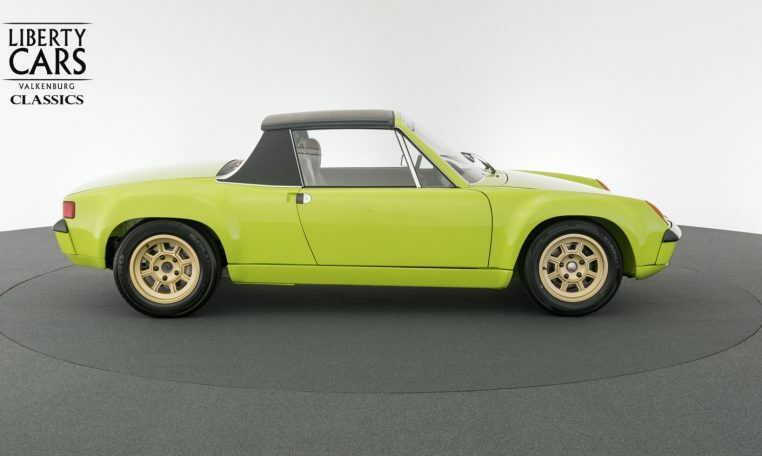 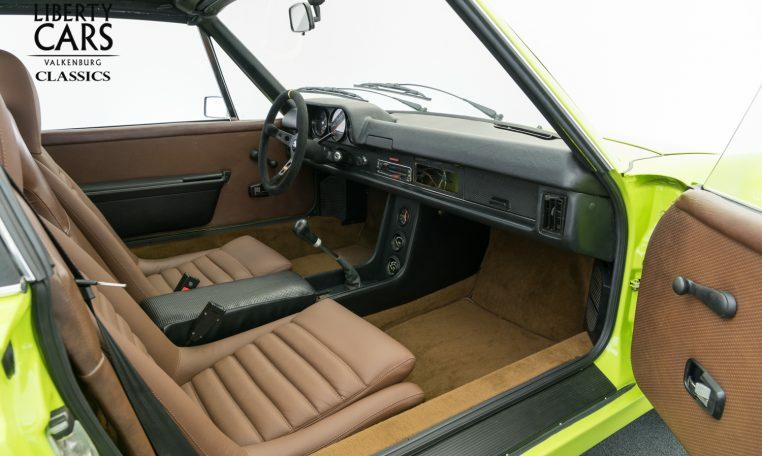 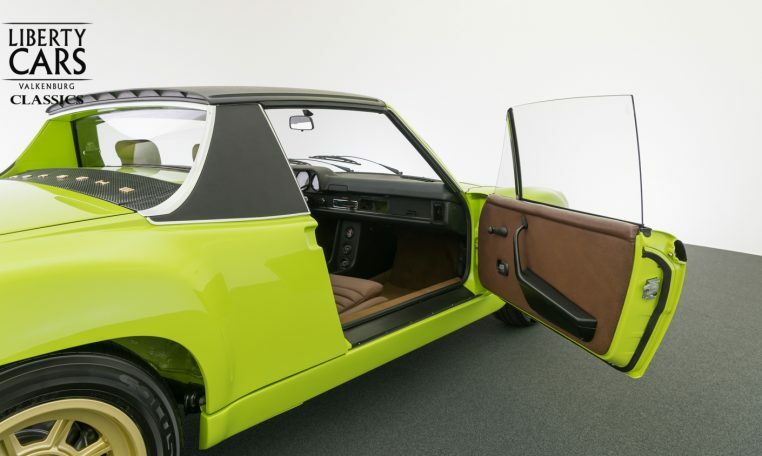 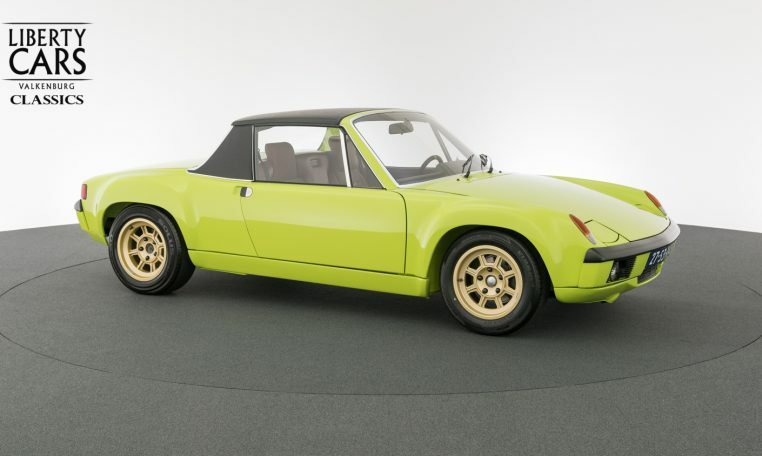 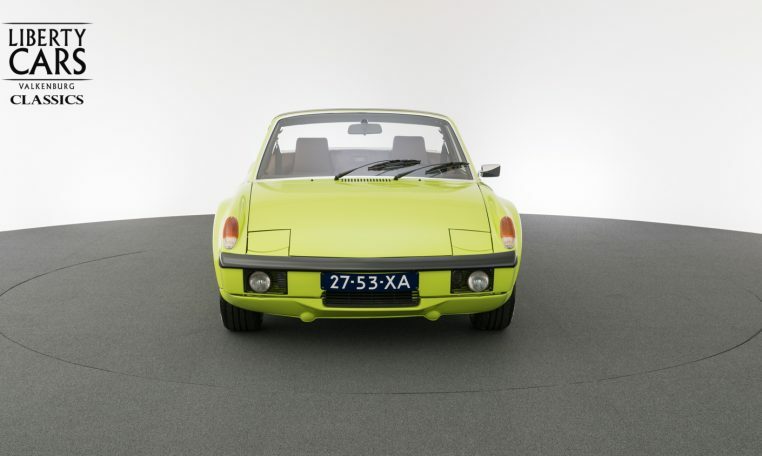 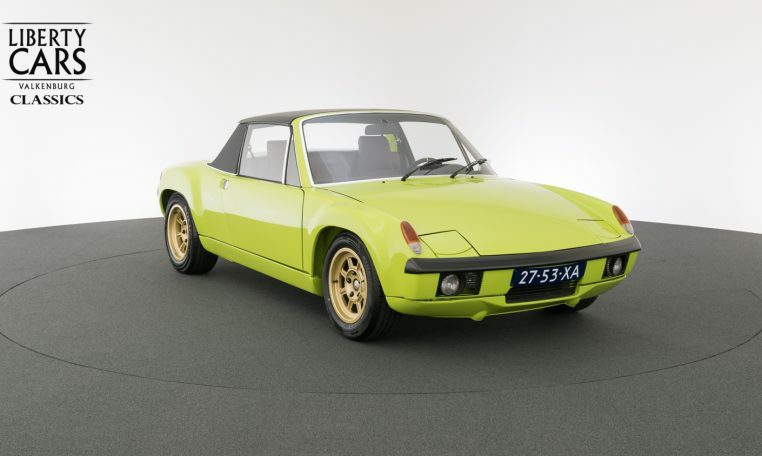 This Porsche was made to order, the builder of this Porsche wanted the best of both Porsche worlds, the 3.2 911 engine and its matching 5 speed gearbox and the mid-engined 914 with GT specs, all made for optimum driving pleasure. 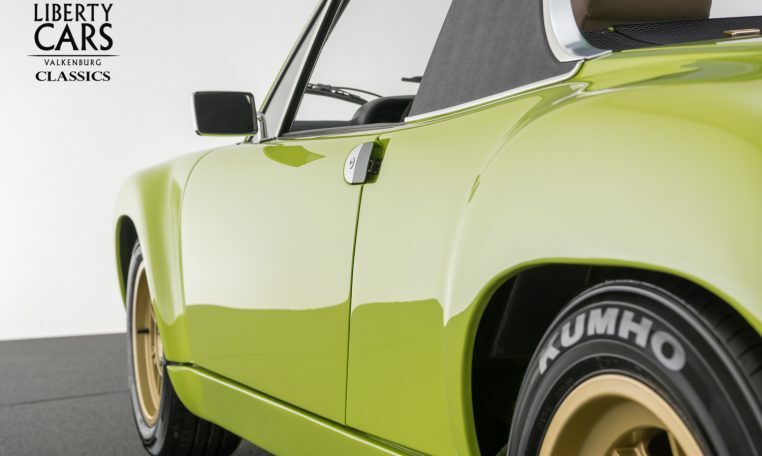 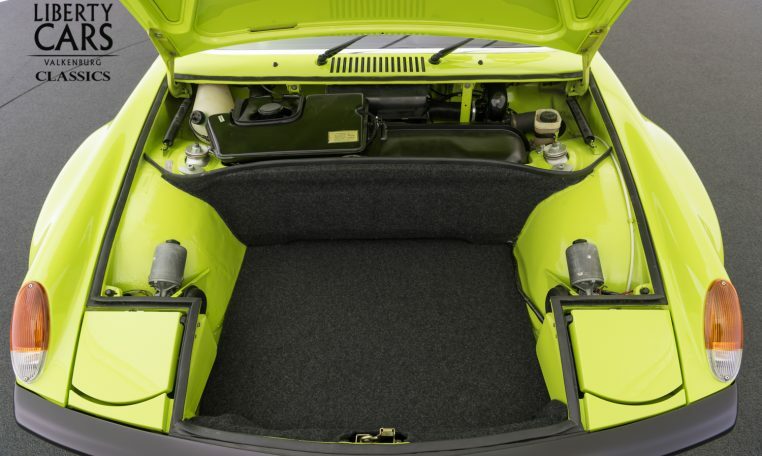 The car was completely stripped repainted in the original Ravenna green and reinforced where necessary. 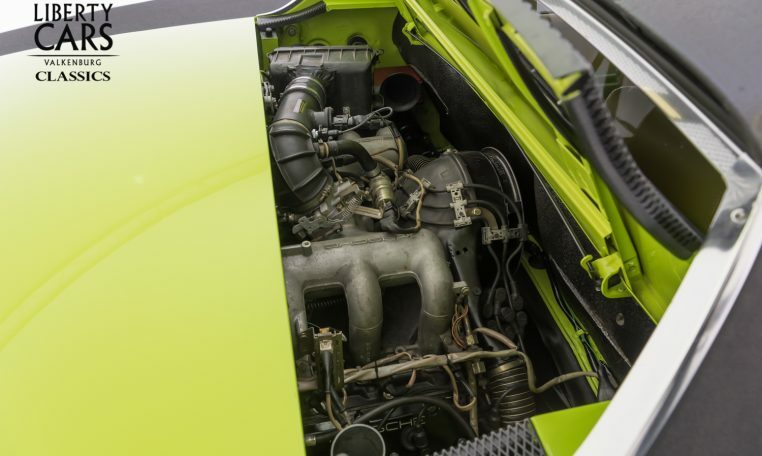 The 3.2 engine and 5 speed transmission were both completely rebuilt . 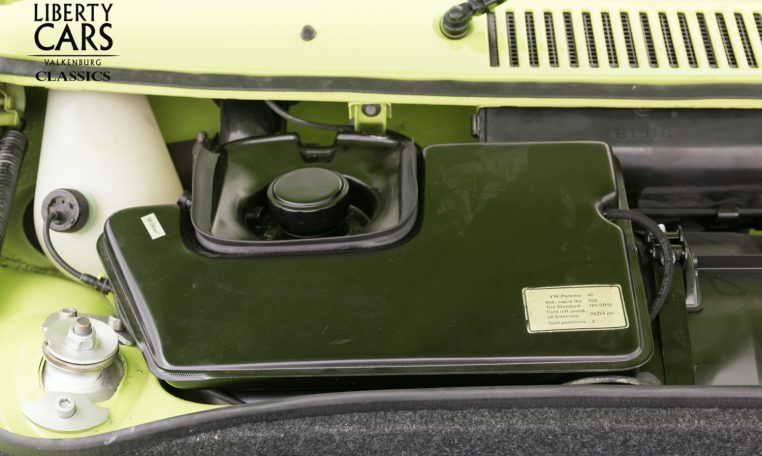 Parts such as RVS heating units, oil-cooler and suspension parts where ordered from “Patrick Motorsport”. 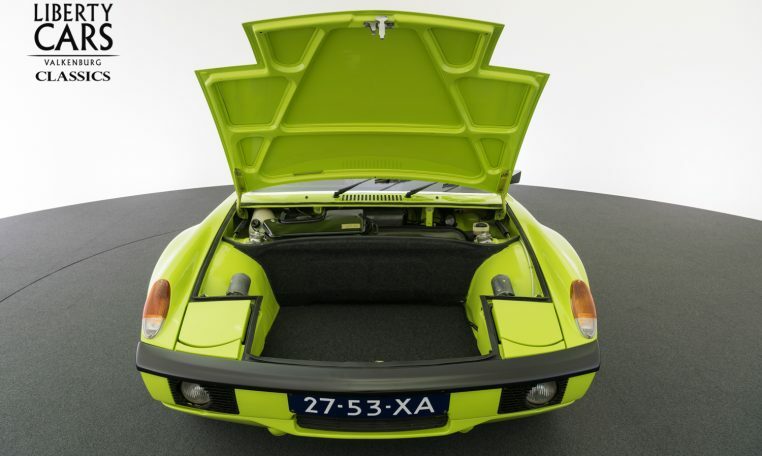 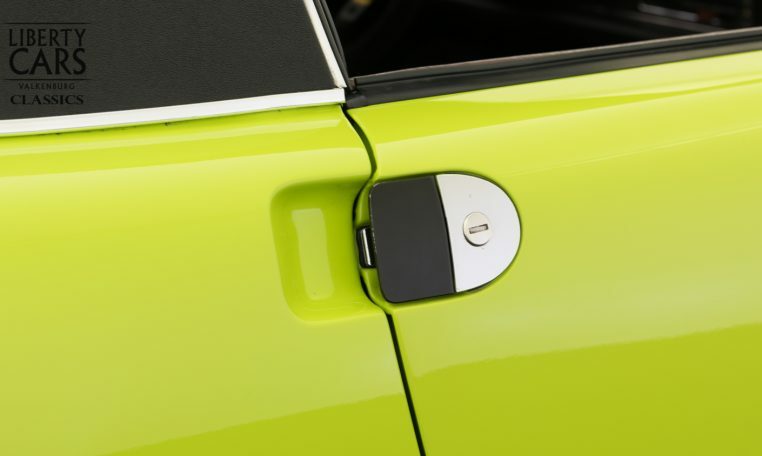 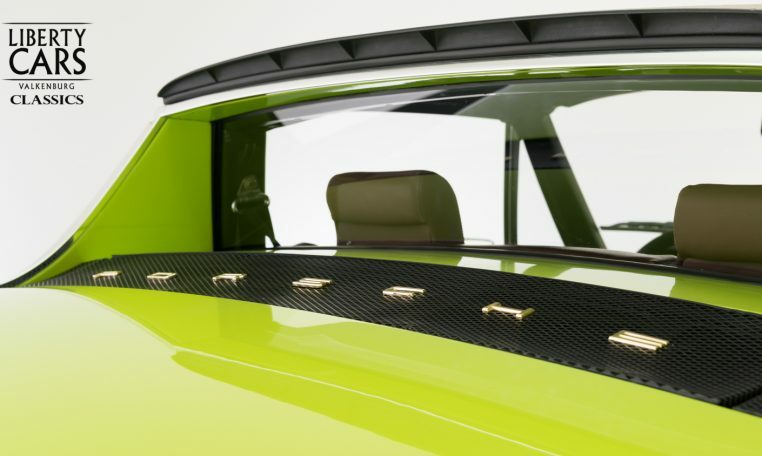 The body was widened with metal fenders and stress points were reinforced. 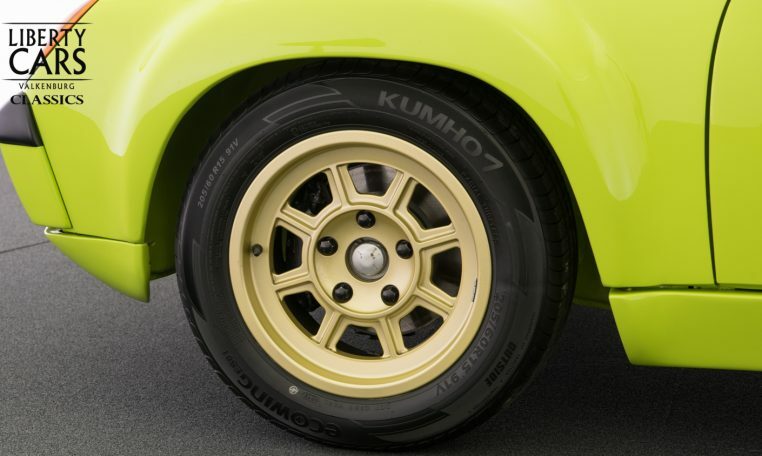 964 Brake callipers were used for the front and the back to be slowed down with brakes substituted from a 3.2. 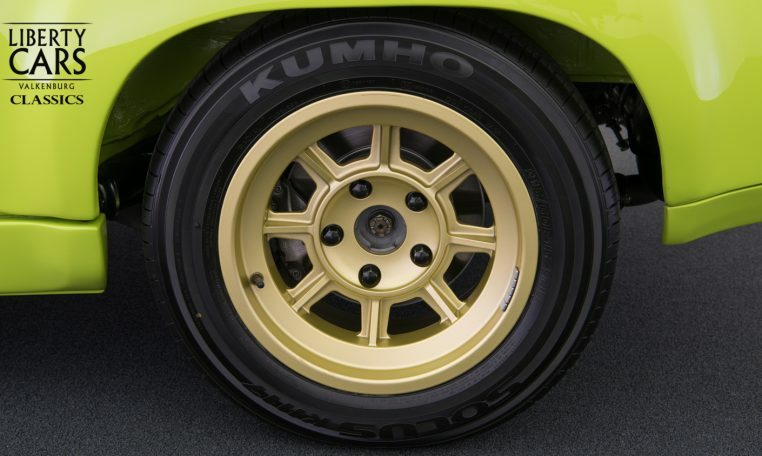 New 15” Campagnolo replica rims were mounted. 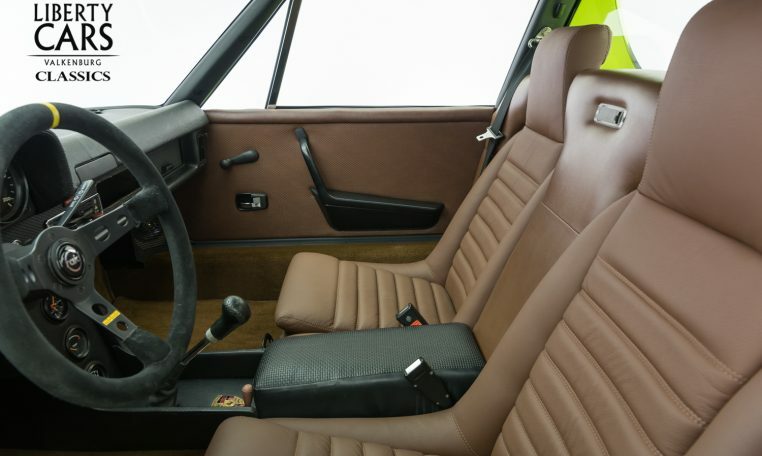 As the exterior was redone, so was the interior, using the original cable assembly. 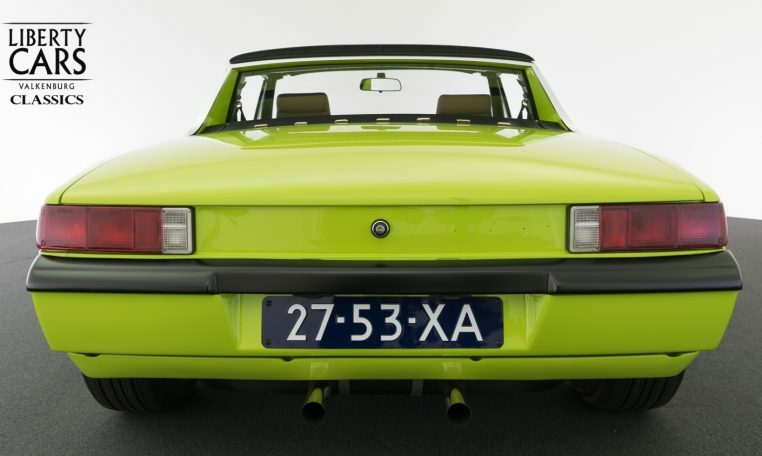 A little wolf in disguise!